We’ve all had arguments at some point in our lives whether it be a small one or a big one, that may have impacted our lives now. Whatever they are about, there is also a consequence. Whenever two people or a group of people have different opinions about something, occasionally it can turn into a debate. Whether it is a calm or violent one is the difference. Some people tend to lose their temper when their opinion isn’t validated which can sometimes cause swearing and possibly other actions. Although because the person cannot keep control at the time of the situation, they tend to regret their actions. 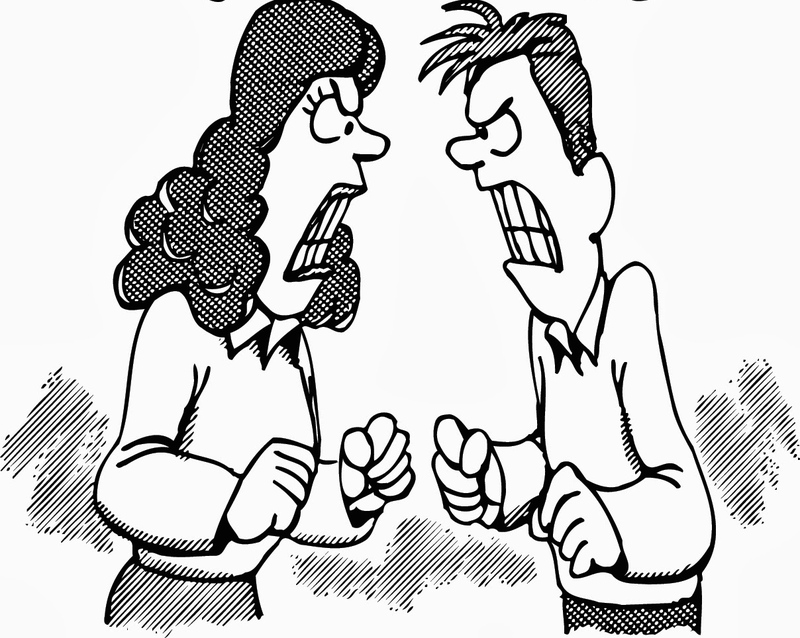 Arguments can happen anywhere, anytime and with anyone. Unfortunately, a lot of people have arguments about things for example there has been a lot of disagreements about gay marriage but I won’t go into depth with that topic. I have witnessed arguments; the main cause of them is bitching. If you’re a girl, then you will understand. I don’t know why girls talk about each other behind each other’s backs but it just seems to come naturally. We begin judging others at a young age, mostly because of jealousy. Unfortunately, many of us girls do find it hard to not have an argument but I prefer not to start anything because I think that arguments are pointless and just results with you having more enemies. I don’t know what the situation is like with boys when they have arguments but what I have seen is that the boys have a fight and that is the end of it. Sometimes, I wish girls could get things over and done like this, you also get to realise all your anger too. I’m assuming boys would argue over something like who’s the best football team or other sport team, a girl that everyone wants to go out with or if someone has been bad mouthing their family. You may not think it but I’ve seen that when someone one boy insults another boy’s family, they do get easily annoyed. Most of the time, the guy being offended will punch etc the other person. Debates can sometimes be constructed in a sensible manner. In some particular school subjects, we have debates for example we had one about whether capital punishment should be illegal or legal? When we have debates about topics like this, we are split into two sides (for or against the statement). Each side has a turn to make a point that they think is important, it can get frustrating when you disagree with the opposing side because you cannot scream or shout at them as we may in other arguments. Hopefully, today’s blog has made you seen arguments in a different light. Next Wednesday is Christmas Eve so I’ll be writing a Christmas Special!